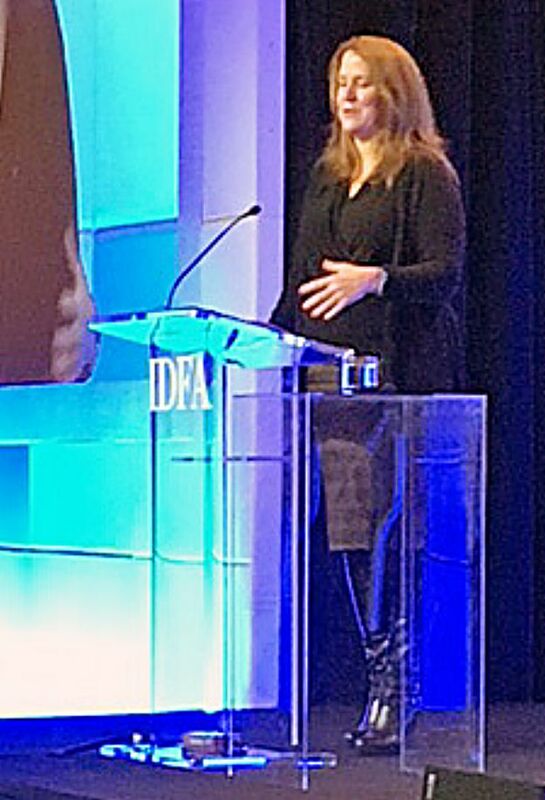 âConsumers today are looking for food with a story, they want to know about it," said Carmen Becker, Tetrapack President and CEO, at the International Dairy Foods Association Dairy Forum in Orlando on Jan. 31. ORLANDO — Michael Dykes, the new president and the CEO of the International Dairy Foods Association, told industry’s executives at the group’s annual Dairy Forum here today that times have changed and they must adjust to emerging consumer tastes and a more diverse population. Food today “has emotions around it,” he said. Millennials — people who have reached adulthood in the 21st century — have passed baby boomers in percentage of the population and they have different views on food. Tetrapack President and CEO Carmen Becker, who introduced Dykes, made the same point. Becker noted that the days of people eating three meals a day as a family are gone. Instead they are eating more, smaller meals and the industry needs to develop products that respond to that interest. Dairy is a natural, healthy, nutritious, minimally processed food, she said, but the question is how to fit in with evolving consumer attitudes.